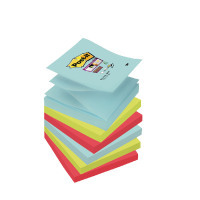 These Z-Notes refills from Post-it are designed for use in a Z-Notes dispenser. A fresh note pops up with every use, giving you quick access at your desk. The Super Sticky adhesive provides a strong, long lasting hold and removes cleanly. 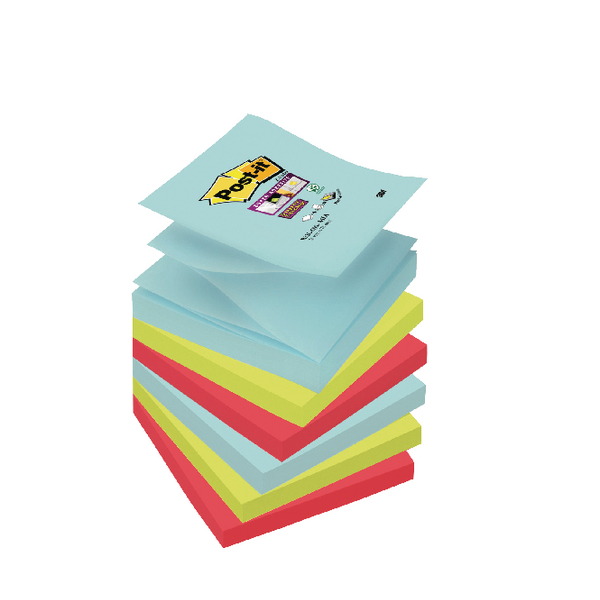 Each pad contains 90 sheets measuring 76 x 76mm for notes, messages and reminders. This Miami collection contains 6 pads with 2 each of aquawave, neon green and poppy.